Despite the critical responses, I found a good measure of all three ingredients in this edition of the Venice Biennale. Inevitably, as I wandered through the labyrinth of sprawling sites, its alleyways, across bridges; I could not help but wander how the city of Venice itself does not become the very playground of this larger than life experience, and dwarf the multifarious and contested art spheres this city has come to host. 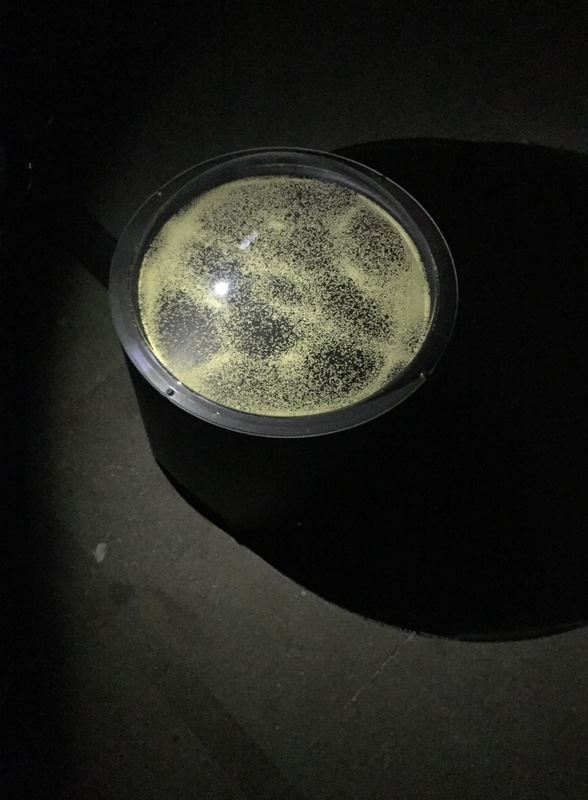 As the Biennale closed last week after a six-month run, I wanted to share some of the projects I found significant and which have remained in my imagination. In Outdoor Piece – One Year Performance 1981-1982, Hsieh inhabited a further sustained deprivation: he remained outside for a year without taking any shelter. Together these monumental performances of subjection mount an intense and affective discourse on human existence, its relation to systems of control, to time and to nature. Hsieh’s fugitive presence – traced throughout – speaks both of the abjection and ingenuity found in survival by those who have nothing. 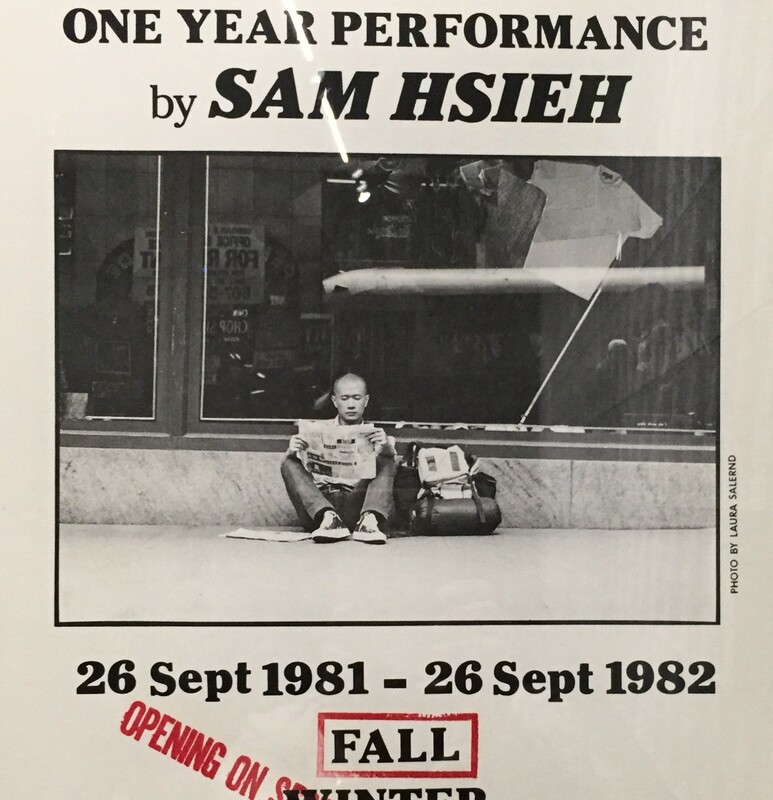 It is interesting to note that during the course of his One Year Performances Hsieh was an illegal immigrant. 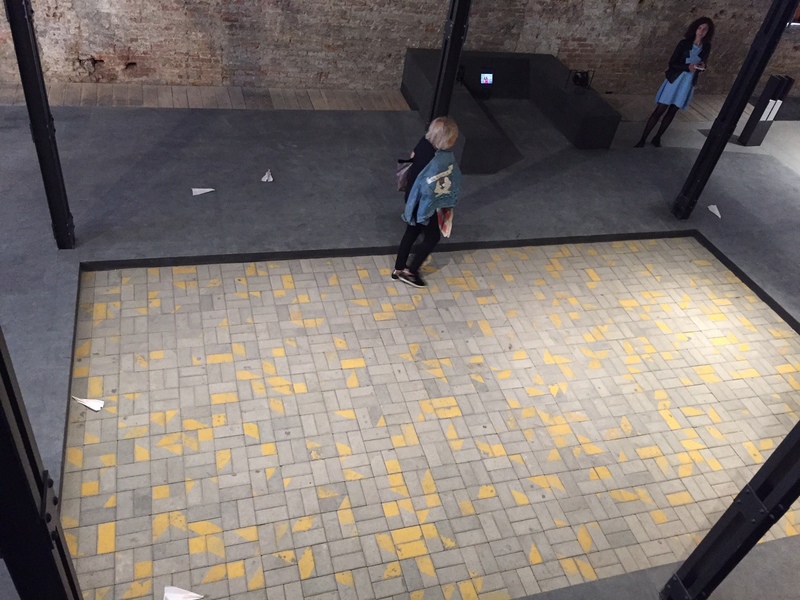 There seemed to be a richness of music and sound works in this edition of the Biennale. 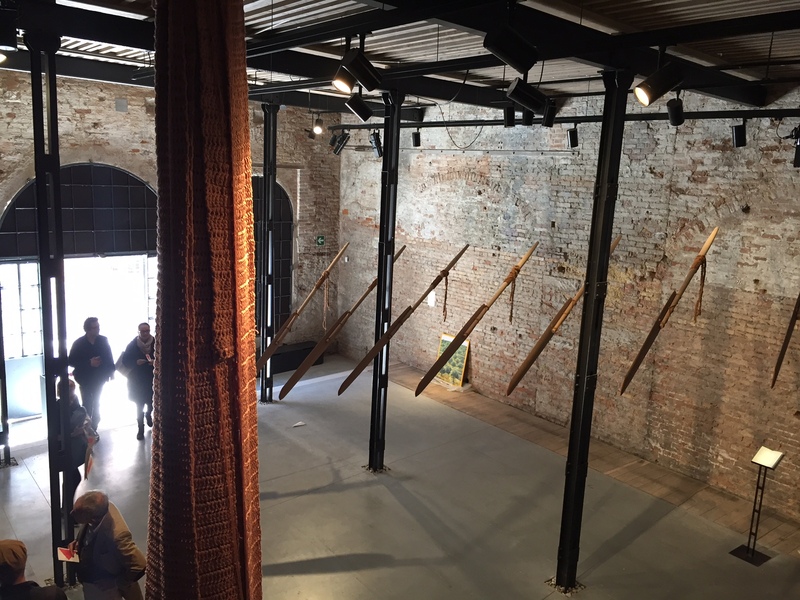 Tucked away at the far end of the grand Arsenale site, with its 12teh Century shipyard, was the multichannel sound scape by Hassan Khan. Hassan is one of the pioneers of the Egyptian underground scene and first emerged in the art world with a series of short, single channel videos and intense musical performances before his practice developed to include objects, texts, films, music and exhibition environments. In Composition for a Public Park, sound monitors were perched high up on thin poles; the garden space was sliced into three sections of sound within the outdoor garden. The music was composed and recorded by the artist, text was written and recorded in various voices by the artist, using computer and multi-track software, audio interface and multichannel sound system. The three movements revolve around intense private emotions that are also public and political. People lay on the grass, listening to the undulating flow of sound as it wrapped around them. The sounds overlapped and competed with each other, as voices, brass, piano, Egyptian Horn, overlaid to create an extraordinary sonic experience and a sense of floating, a landscape that was tangible but also distant. 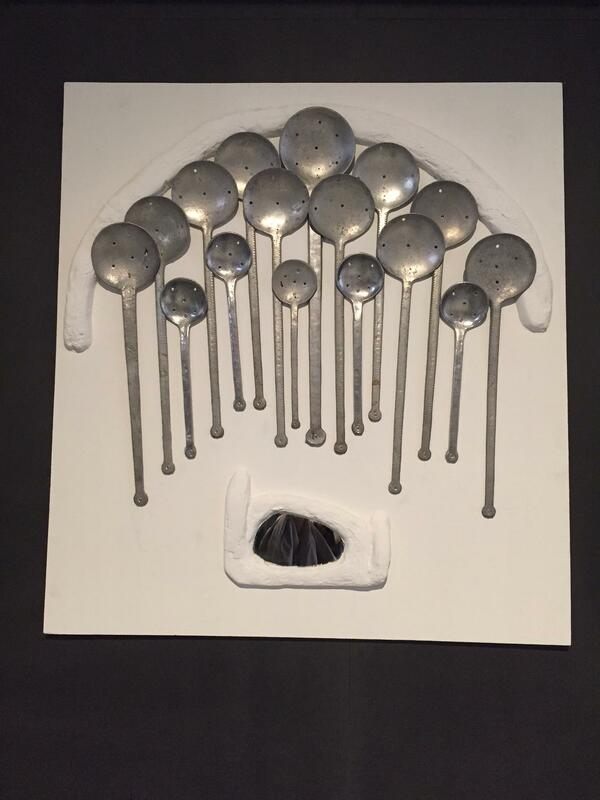 Hassan Khan was awarded the Silver Lion for a Promising Young Artist. Another project, which involved sound, was the complex work Life in the Folds by the Mexican artist Carlos Amorales. About 1,000 tiny ceramic ocarinas (an ancient wind musical instrument) were arranged on tables. Each of the instruments was based on a letter from a 74-character alphabet created by the artist. 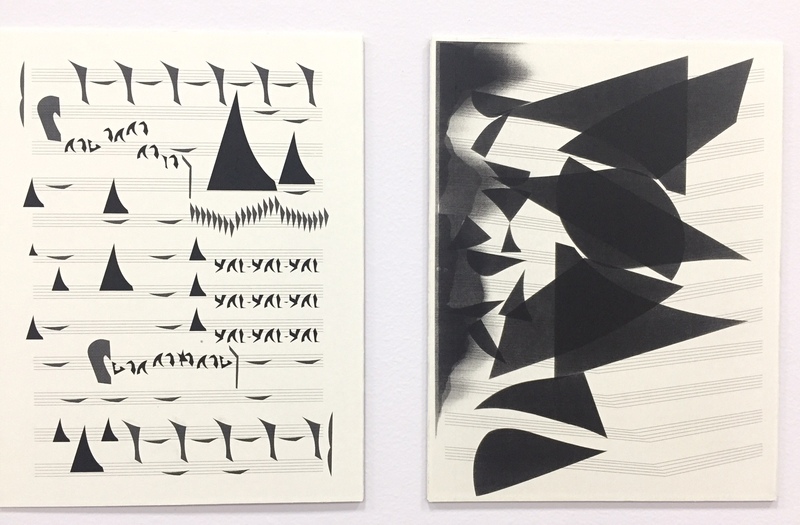 These characters resembled a conceptual typography, which was between hieroglyphics and musical notes. When I visited the pavilion, a musician was playing an ocarina, letting out long drones and then gliding amongst notes, as if letting out a warning. 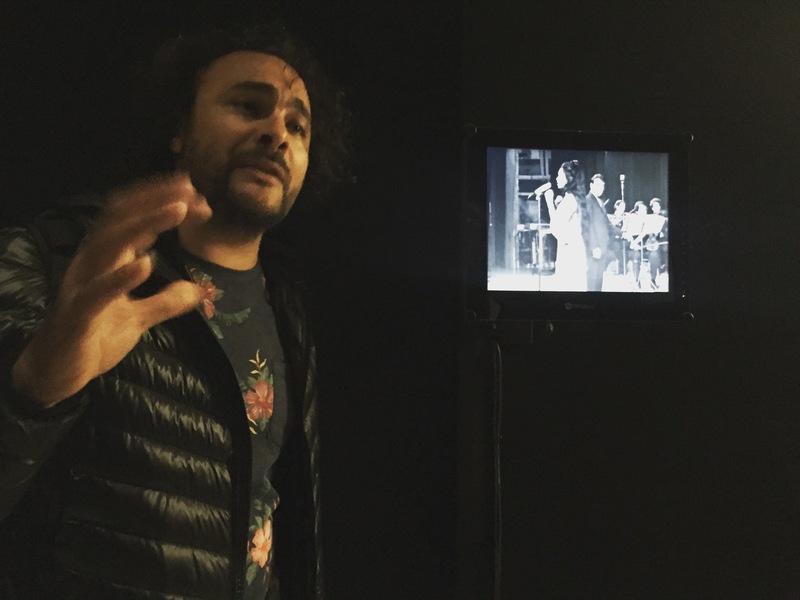 The French/ Algerian artist, Kader Attia’s Narrative Vibrations was one of my favorite works. 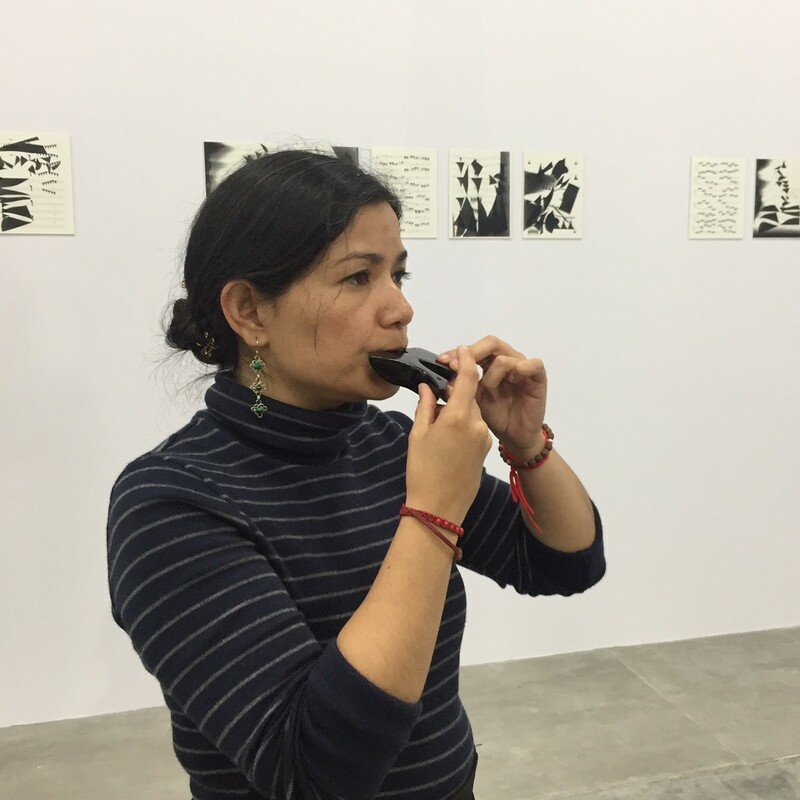 It explored the special powers of the human voice, and played with the idea of sound and its impact. The work reminded me of the epic female voices of Madam Noor Jehan and Egypt’s Umme Kalsoom. One gallery featured female vocalists from the Arabic world on separate screens. Their singing pitch caused vibrations to appear on domed enclosures of couscous attached to the speakers. The patterns of the couscous made visible a sonic range that moved and remained still across the sound vibrations. This work was engaging, in that it set up a direct link from what we heard to what was moving and altering in the patterns of couscous. Rock, Paper, Scissors: Positions in Play, explored strands of artistic practice in the UAE, through ideas of rhythm, time and return. Hammad Nasar, the curator of the UAE Pavilion, asked himself two questions when he began to plan this exhibition: “Where is this play coming from and how is it nurtured, because play in the UAE is not the first thing that you’re thinking about,” One conclusion he reached was that, “Play is part and parcel of making a place home.” UAE being the crossroads it is, becomes an abode on some level to a varied community of labor, corporations and visitors. The exhibition featured existing works, re-fabrication of “lost” works and new commissions. But more importantly, for me the exhibition staged a set of questions that are part of the way visual practitioners engage with society, mobility and play. One of several works was a row of oars balanced over-head and arranged in a wavelike pattern by Mohamed Yousif, who trained as a sculptor and then spent years in the theatre. Nasar translates an inscription that appears in Arabic: “The rhythm of the oars under the water.” Oarsmen traditionally sing when they row, and the oars arranged by Yousif, says Nasar, “looked like musical notation”. As I walked into the Palazzo Pisani via the shimmering golden plastic strings, I could have been walking into a nightclub in a Venetian alley. 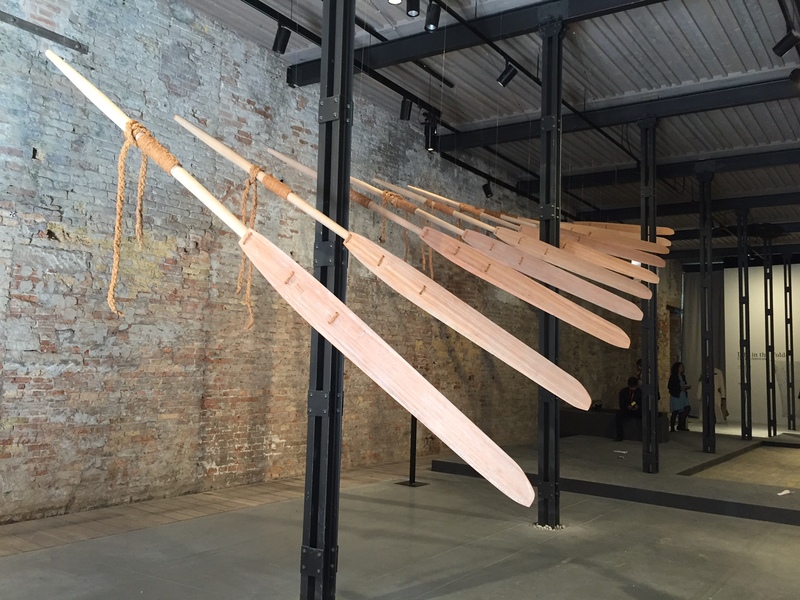 Instead, it was the Diaspora Pavilion, which was one of the highlights of the Venice Biennale this year. Curated by David A. Bailey and Jessica Taylor, it addressed some of the ideas of global migration, the experience of diaspora and the composition that makes up the diversity of Britain today. But more than that, this initiative challenged the very nationalism on which the Biennale structure is established, and for this reason, it is significant for being positioned in the context of the Venice Biennale. The pavilion grew out of a unique 22-month project, the ‘Diaspora Platform’. It involved a mentoring program by eleven selected mentors, and twelve UK based practitioners around the theme of diaspora. 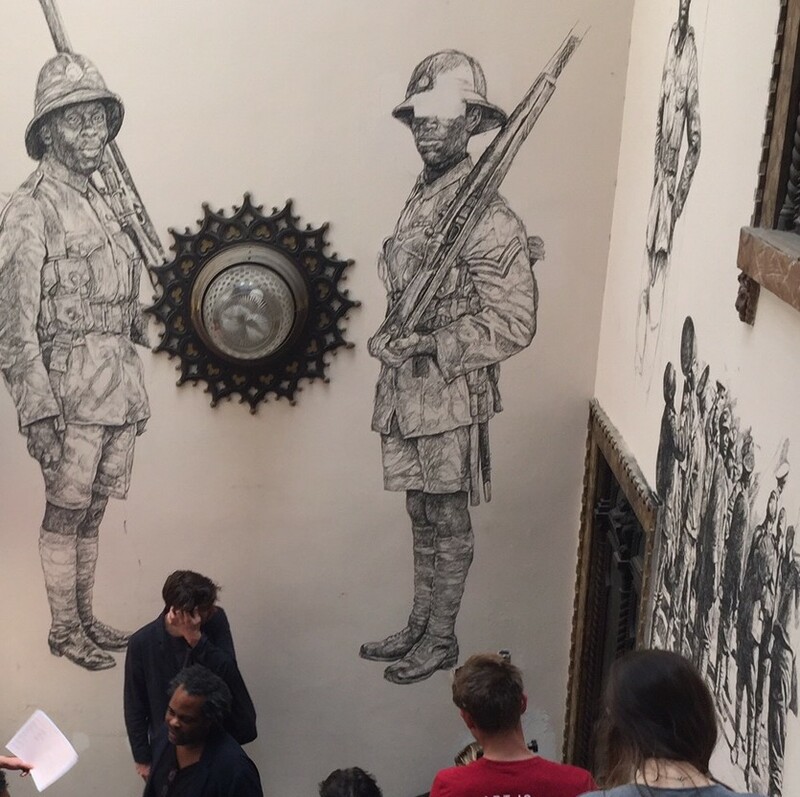 The mentors included Hew Locke, Yinka Shonibare as well as Ellen Gallagher, David Adjaye and Isaac Julien. ‘Its sense of political urgency, curatorial energy and collegiate goodwill was reflected both in the work itself and a strategic position that suggests remodelling the British art world to far better reflect its citizens’ origins and experiences’. As Robert Roos writes: “Although the whole show is about post-colonial reality, it is for the most part not an activist’s position. 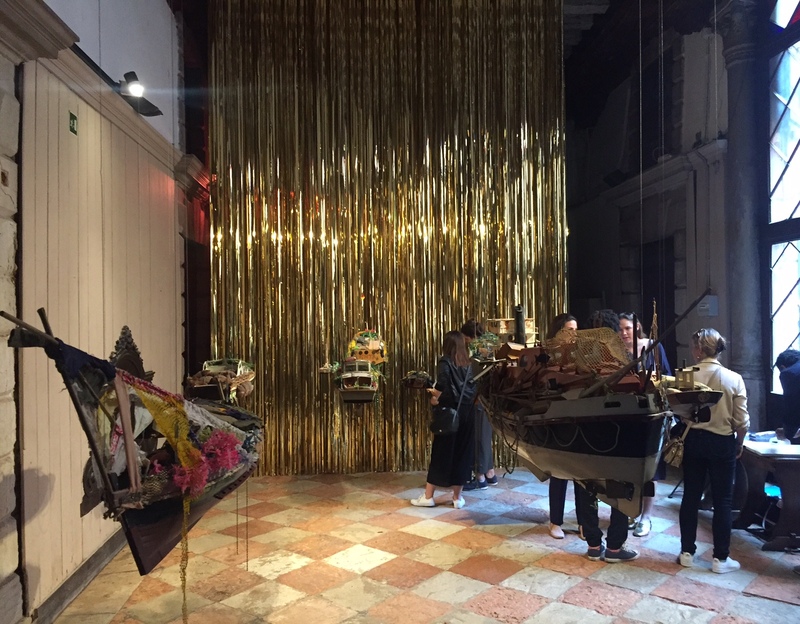 Rather the artists try to get their messages across to the hearts and minds of the viewers with eloquent artistic narratives.” Entering the shimmering golden curtain work by Susan Pui San Lok, we leave the streets of Venice behind as well as the former European glory of the city. Instead we enter a space, which holds a different kind of promise, and a tonality of works emerge which use the strength of difference and opacity as their voice.